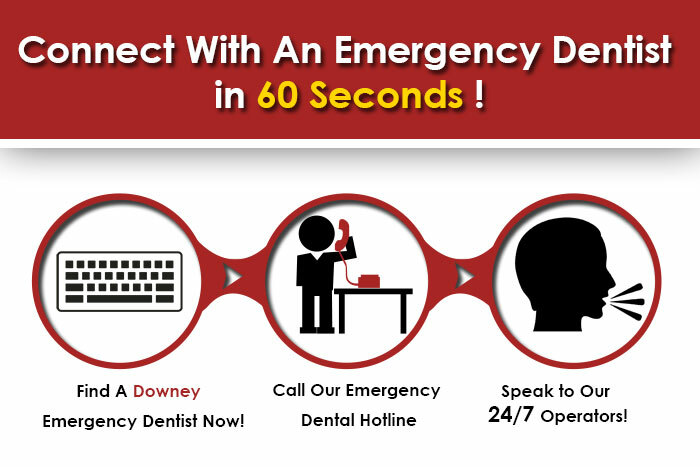 A 24 hour emergency dentistis what you are searching for when you are facing severe dental problems that necessitate medical attention right away. These dental emergencies could be brought about by the likes of fights or accidents and cannot be ignored, in case they are worse than they seem. Home to at least 115,000 people, Downey was established in the 1870s, just minutes away from Los Angeles. Over 11% of that population consists of elderly members, each of whom require good dental hygiene and care, which is why a group of dental care centers are absolutely necessary. Apparently the current oldest McDonald’s restaurant lies within the area of Downey, just like the first every branch of Taco Bell. Downey has its abundance of entertainment and art-rich history. Open on all days of the week, Dr. John’s dental care center includes top-notch equipment and friendly staff members that make you feel comfortable, helping you calm your nerves before your visit with the dentist.From Mondays to Thursdays, the dental care center is open from 8.00 a.m. to 5.00 p.m. Also, for those who have a busy week could keep in mind that the clinic is open every other Friday. Patients could also drop by on Saturdays and Sundays only on the basis on emergencies. To get in touch with Dr. John please call at 562 869 0928. Open from Mondays to Saturdays, the SmileCare center is exactly the place to go to if you happen to be looking for a dental care unit in Downey for the following services: intravenous sedation, pulpectomy, braces, bone grafting, pediatric dentistry, dentoalveolar surgery, fillings, wisdom teeth extractions and much more. Free orthodontic consultation is offered at this center. Over 60 people have given reviews on their website, each content with the service they have received. Patients are allowed to drop by on Saturdays only by making appointments earlier. To get in touch with SmileCare, feel free to call at 562 803 4224. Be it for dental exams or procedures such sedation dentistry, cosmetic dentistry or even teeth whitening processes, Dr. Zak and his team could provideyou with all of those. All you need to do is call at 562 372 2722 and place an appointment. At this dental care unit, you could register for monthly visits that will help you keep your pearly whites clean and healthy. Their amazing monthly deals will appeal to you, each different from the last. Their website contains a stash of educational videos and testimonials from satisfied patients. Call at 562 222 1551 to get in touch with Dental Masters, an elite group of dentists that are great at what they do, specializing in a list of procedures and orthodontics too. Their website consists of an online form that comes in handy when you wish to make a quick appointment.